I'm super excited (and honored) to once again moderate two panels at the amazing Los Angeles Times Festival of Books, 2016 edition! 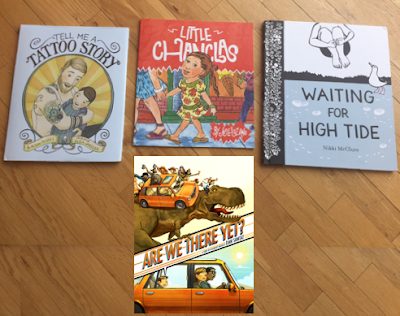 Okay, I didn't have Dan's book yet for this photo, but laughably bad photoshopping aside, check out these awesome picture books by my Saturday panelists! The incredible books my Sunday panelists created! Hurray for picture books and book festivals!